Awe is one of the most powerful human emotions we can experience. Research to understand it is showing how it has the potential to open our minds to bring us together or be used as a tool for manipulation. 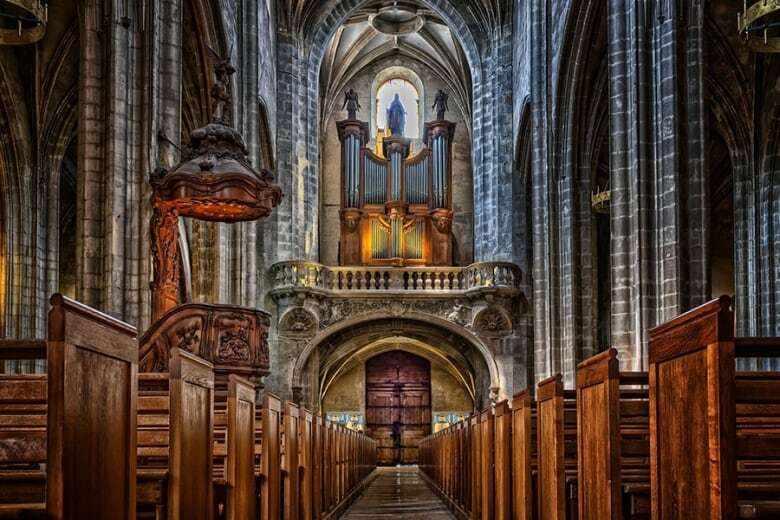 An inspiring piece of music, a spectacular natural vista or an architectural wonder can provoke awe, making us feel small in the face of something greater than us, and forcing us to reevaluate what we think we know. "[Awe] is actually having transformative impacts on people's brains and subsequent behavior," said Beau Lotto, a professor of neuroscience at University College London and CEO of a neuroscience research group called the Lab of Misfits. Lotto and his colleagues teamed up with Cirque du Soleil to study awe at one of Cirque's longest running shows, O, in Las Vegas. Over the course of five nights, Lotto and his colleagues studied the response of 280 audience members to the awesome nature of the show. Some were equipped with EEG caps that could read their brain waves while they watched and reacted to what they were seeing. Others completed detailed and carefully designed questionnaires either before or after the show that could reveal how the experience of awe changed their self-perception and even, potentially, their behaviour. Lotto said what the audience members experienced in the brains when they felt awe was "consistent across all their brains." 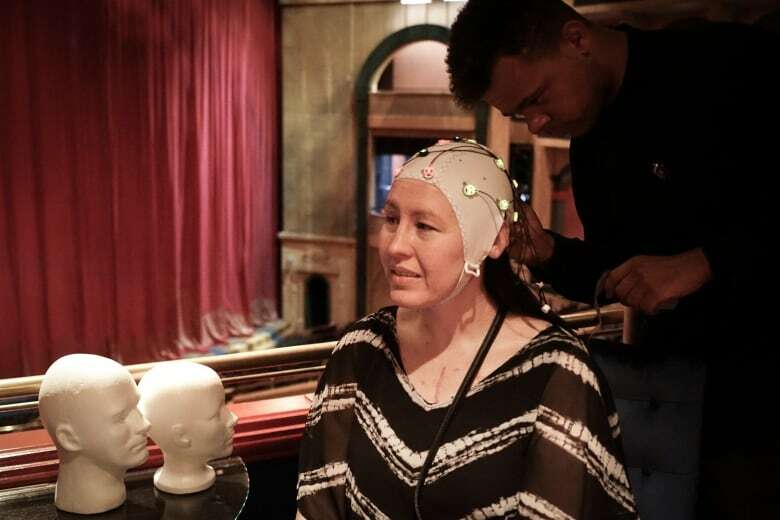 The EEG revealed that activity in their prefrontal cortex, the part of our brain responsible for controlling attention, decreased, reflecting the way the audience members became lost in the experience. At the same time, activity in what's known as the default mode network increased. This is connected to our sense of self. They also found that after the experience of awe, activity in their brain's prefrontal cortex became more pronounced on one side, which Lotto said is consistent with our desire to approach a stimuli. "It's almost as if — this is amazing, I'm losing attentional control, I'm feeling very conscious of the overall experience and now I want to step forward," said Lotto. In the second part of his study, analysis of the data from Lotto's questionnaires revealed they were affected in several significant ways. They were more willing to take risks. They were more comfortable with uncertainty. They redefined their perceptions of themselves. "All of these changes are really quite profound because they're all related to the need and desire to step into uncertainty, which is itself essential for things like creativity, optimism, positive behavior, decreasing fear, decreasing hate, increasing tolerance etc," said Lotto. "This goes beyond entertainment. This is something that was actually affecting people after the performance." 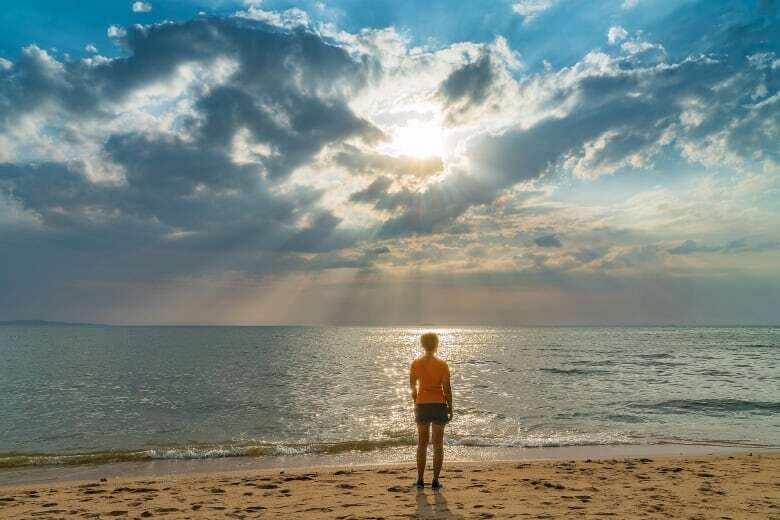 Dr. Dacher Keltner, a professor of psychology at the University of California Berkeley and director of the Greater Good Science Center has been studying awe for decades. His research shows that the majority of experiences of awe are positive, like those experienced by attendees at the Cirque du Soleil show. However a quarter to a third of experiences of awe are negative. They fill people with dread and a sense of alienation or meaningless. A night sky view of the Milky Way, for example, fills many people with a sense of wonder. But others can find it terrifying as they realize their insignificance in a vast cosmos. Whether awe is experienced in positive or negative ways seems to be partly culturally based. Keltner said his work shows that in cultures that are horizontally organized and egalitarian like Canada or Norway, "awe tends to be more sort of positive and uplifting." Whereas in more vertically organized cultures, like China, "awe is more threat filled." "We're increasingly thinking that what awe is really doing is it's opening your mind," said Lotto. As a result awe can make people more pro-social and could help bridge the deep divides amongst people where little common ground can be found. But on the other hand, awe also likely helped certain religions and political authoritarians exert control over their followers. "In the case of, for instance, Hitler with those massive military parades, that could in theory have elicited incredibly strong sense of awe and opened people up to then be persuaded," said Lotto. "But in that sense persuaded in an incredibly diabolical way." Keltner said awe, like every emotion, can be exploited for good or bad, but in the right context — be it a Cirque du Soleil show, a stunning sunset, or under the dancing northern lights, awe could be the bridge that brings us together.